In the third instalment from Gergő Benedek, he explores the politics of nuclear power in Hungary. Hungary is not really looking like a place that needs more nuclear power, although it’s still on the course to build one. 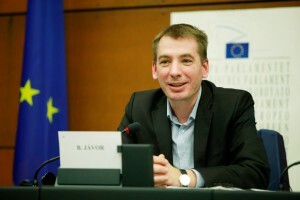 We talked with Hungarian MEP, Benedek Jávor, who is following and commenting the Paks II project closely, about the possible reasons behind this mindblowing undertaking, and about the directions this peculiar story could unfold in. What do you think about the necessity of a new nuclear power plant in Hungary? The government based Paks II on assumptions about our reality that are simply not valid anymore. The first assumption is that economic growth requires a higher net energy consumption. A yearly energy demand growth of 1-1,5% was projected in the Energy Strategy of 2011. The current power plants are getting old, and Paks I is also set for decommission by the mid-2030’s, so a new nuclear power plant was considered necessary. However, there has been a complete turnaround of trends in the global energy markets, in the last ten years. The EU has set an energy efficiency goal to 2030, so the member states should lower their overall energy usage by that date. This is exactly when Paks II is supposed to start to provide power. The Energy Strategy of the goverment is predicting a higher net energy consumption in the country, soaking up all the capacity of both of the nuclear power plants that are planned to be running at this time. This would be simply against the EU regulations in effect. Furthermore, the projected energy consumption growth is simply not happening, it seems. Since 2011, national power consumption has been stagnating, or even slightly decreasing. The fissure between the projected energy usage and the true current energy usage is already so wide that it’s close to the planned capacity of the new blocks at Paks. Meanwhile, the cost of renewable energy production has fallen so radically that now it is far lower than nuclear. The future energy needs of the Hungarian market can be covered by renewables easily, simply, and way more efficiently. With the alternatives being so convincing, why do you think the government sticks to Paks II? This is the most frequently asked question I get, when I’m asked about Paks II. I think that an unlucky collusion of several factors was necessary to get us into this predicament. The first factor is the outdated professional philosophies of the Hungarian energy sector as a whole. The government probably got bad advice from its own energy experts, who thought that the future is still in big, centralized power systems with nuclear power in their core. The second factor is geopolitics. The Hungarian government, since 2010 started an orientation towards Russia, and away from closer cooperation with the EU, Paks II is a major project that helps in strengthening the ties between these two economies, excluding the international competitors. The third factor is corruption. This is a gigantic project with an official budget estimate of 12.5 billion Euros that is expected to rise further, of course. The estimated corruption rates of Hungarian mega-developments are 15-20%, so in the case of Paks II there are vast amounts of money available to filter towards the oligarch networks of the ruling party, exactly in the time frame when the EU fundings, that played a similar role so far for these circles, will be likely to run out. Paks II is simply necessary to finance the illiberal Hungarian state system in the forthcoming years during the construction period. What’s your opinion on how EU organizations handled the Paks II project? When the Paks II papers were signed back in 2014, the Commission had a rather critical stance. Understandably so, since the project blatantly violated public procurement regulations. On the spring of 2016, however, the Commission changed course. Again, there must have been multiple factors behind this change of heart. 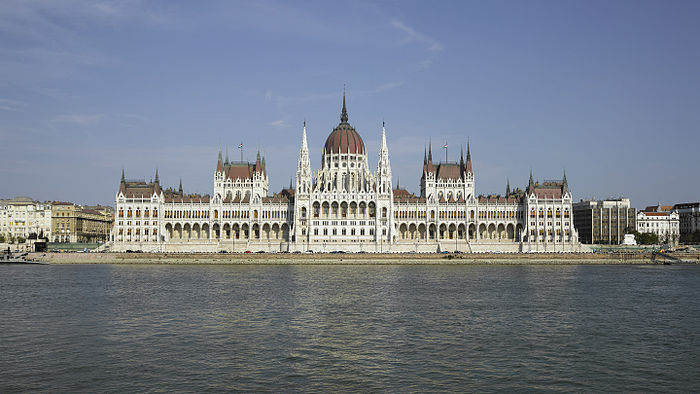 Firstly, the Hungarian government made a promise to let big EU companies into this project, so some key companies of certain member states can have a big piece of the pie. The turbine tender has been won by GE-Alstom, for example, the news just came out, in early January. These deals have been helped come to fruition by Klaus Mangold, aka ‘Mr. Russia’, a well-known, Russia-oriented German EU lobbyist, who was hired by the Hungarian government for exactly this reason, through a contract that has been classified as state secret, bytheway, which is quite unusual. The other factor is political. The spring of 2016 was all about the Brexit referendum. The Commission was afraid that UKIP and the Pro-Brexit wing of the tories would use Paks II as an example of Bruxelles meddling in how a member state wishes to solve its own energy supply, so they decided to play nice, not to fuel the fire of the Leave vote. And there is one more political aspect to consider. If the two-speed Union becomes a reality, with Hungary split from the core countries, then there’s not a real reason to object the Paks II project. Energy cooperation might not even be a thing in that political context, so the current regulations might not be relevant at all in Hungary by that time. Should the Hungarian local communities prepare for a nuclear future then, in your opinion, or is there any chance for Paks II to fail? We still don’t know what’s going to happen. There are several obstacles that could derail the project. Austria is now turning towards Court of Justice of the European Union due to the state subsidy, and the Court can nullify the whole EU approval of the project, which means a complete restart, which also means the end of it, in my opinion. There’s no time for starting again from scratch. Also, the competitiveness of the alternatives are becoming more and more apparent. The distance between Paks II and the alternatives is still growing rapidly, in favor of the latter. There can be a situation where the absurdity of it becomes so obvious that the government simply has to back off. Finally, there can be collateral aspects – the project is already behind schedule, without anything even built yet. Costs are expected to rise steeply. Financing can become an issue, especially since Russia has economic problems. The Hungarian budget sources are not enough to finance an investment of this scale. So there are legal, financial and technological hurdles to overcome, if Paks II is to become a reality.